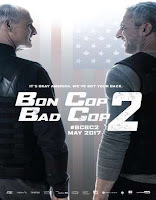 Bon Cop Bad Cop 2 2017 English | FunToMovies 300 Movies '+g+"
Story line: Eight years have past since Martin Ward and David Bouchard met in a spectacular way on the Quebec/Ontario border. The two men have remained friends, but time takes its toll and they have not spoken in almost a year. In this chapter Ward and Bouchard must face an important car theft ring that turns out to be a lot more than they bargained for.